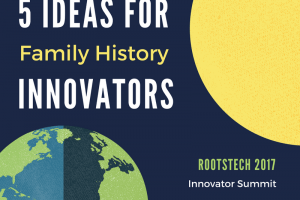 RootsTech Family Discovery Day is March 3, 2018. This year, Elder Dallin H. Oaks of the Quorum of the Twelve Apostles and his wife, Sister Kristen M. Oaks, will be the keynote speakers. Previous Discovery Day talks have been so enlightening – bringing new ideas and perspectives to the doctrine of temple and family history work. I love hearing the different ways the general authorities approach this topic and their unique experiences. Learning from Elder and Sister Nelson at RootsTech Discovery Day 2017 inspirational. The “sacrifice of time” and Scrabble theme were memorable and encouraging. I loved learning about Sister Nelson’s idea for having children illustrate a faith promoting family story for a book. At Discovery Day 2016, Elder Renlund surprised us with a fascinating study of Ezekiel 47 about living waters going out from the temple healing families, as well as the “spiritual dynamite” thought. “There are many different things our members can do to help in the redeeming of the dead, in temple and family history work. Some involve callings. Others are personal. All are expressions of devotion and discipleship. All present opportunities for sacrifice and service. “Some of the most important temple and family history work is done at home. I do not refer just to the important work of keeping family genealogies up-to-date and the much-needed verifying that all sealings have been performed. At home we can keep our journals and gather pictures and data for the books of remembrances of our family members. We can gather and record information available through living relatives. We can write family histories and share their great lessons with our children. “When I was going to law school, we lived 1,400 miles from the nearest temple. We were poor in material goods and hard-pressed to pursue our schooling and care for our small children. My wife and I attended the temple each summer when we returned to Utah, but at no other time. I am glad my priesthood leaders did not make me feel guilty that I did not attend the temple more frequently. A few years later I worked in our nation’s capital, accessible to its great library resources. During that year, I chose to concentrate my personal efforts (in addition to my Church calling) on family history research. When we moved to another city, I was called as a stake missionary, and my priorities shifted from family history research to missionary work. Elder and Sister Oaks spoke to single members of the church in February 2016 about Trusting in the Lord’s Timing. 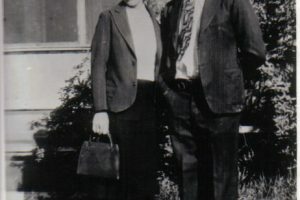 Sister Oaks married Elder Oaks two years after his first wife died. Her story about trusting in the Lord while she remained single is inspirational. 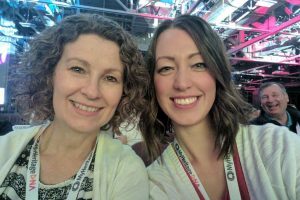 I look forward to hearing both of them speak at RootsTech Discovery Day! It’s free to sign up for the one day Discovery Day event on Saturday March 3, 2018. You can do so here: Join us for Family Discovery Day.